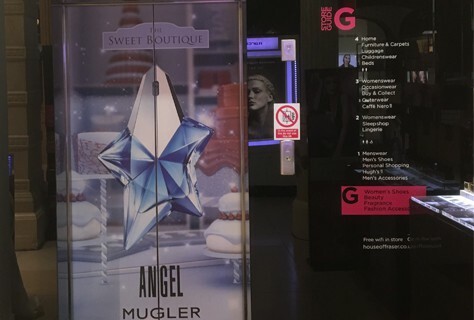 D4R have just produced and installed a Sweet Boutique promotional space for the Thierry Mugler Angel fragrance in House of Fraser, Glasgow. 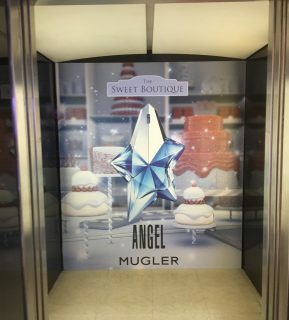 Visitors can immersive themselves in the Sweet Boutique as soon as they reach the House of Fraser lift, with the graphics showcased on the exterior and interior of the lift! 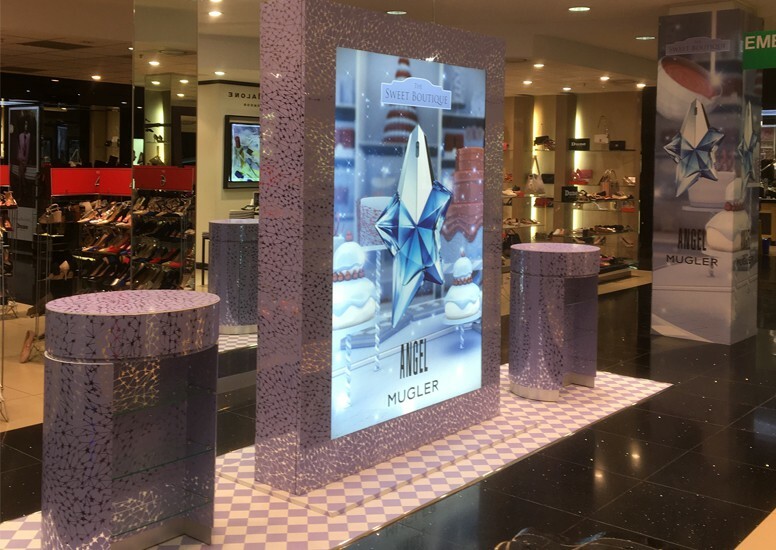 The graphics are beautifully feminine with a pale purple colour scheme and decadent images of cakes behind the iconic Thierry Mugler fragrance bottle. These graphics can be found again on the shop floor as part of their promotional site. An explosion of purple, covered in an abundance of metallic print and complimented by a chequered floor, ensures that the Thierry Mugler site makes a bold statement. Customers are enticed to test the Mugler fragrance with tempting sweet treats following them from lift to promotional space! This feminine and eye-catching promotion is situated on a main walkway within HOF Glasgow and is bound to attract every fragrance lover!